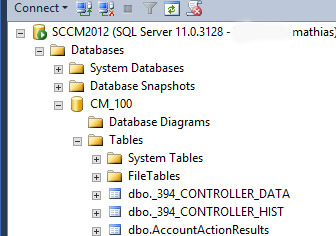 …until you find the table called “dbo.SupportedProductsForOfflineServicing”. If you want to you can select the top rows and have a look and it’ll look like the screenshot below. Then change the value “Windows vNext Preview” to “Windows 10”. Without quotes of course. You don’t need to save anything, all changes you make in the database are live changes. 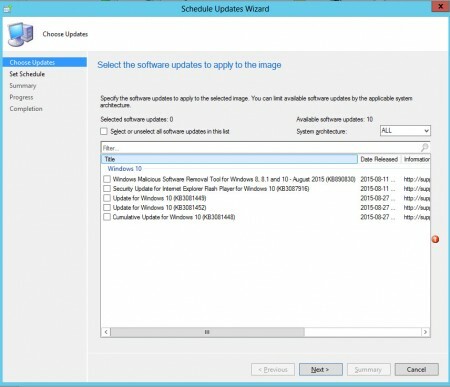 Restart your ConfigMgr Console and voilà, all the patches are there! IF you have downloaded the patches first in the folder Software Updates in the console. 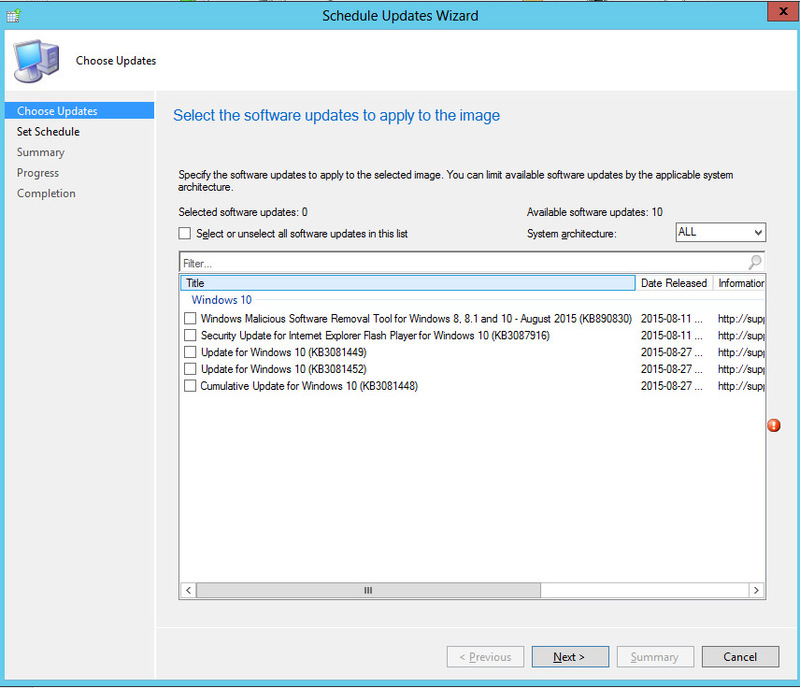 You can have a look in OfflineServicingMgr.log in the CM-Log directory afterwards too see how the updates are applying. And OF COURSE this is not supported by Microsoft but I’ll be very surprised if their fix is not identical to this. Try it if you like but please don’t mess up your database and blame me afterwards, ok? Thanks and good luck!